Gig economy: CitySprint follows Uber in scrutiny over "workers"
Following in the wake of October's tribunal decision finding that Uber drivers are "workers" and not independent contractors, the London Central Employment Tribunal has ruled in a similar fashion this time in relation to a bicycle courier engaged by courier firm CitySprint, holding that the courier is entitled to holiday pay and other employment rights as a "worker". The term “gig economy” is used to describe the trend towards workers taking work on a “gig” basis, engaging with businesses on flexible, generally short-term assignments, in contrast to a traditional employment model. The focus of the cases is on the rights enjoyed by "workers", an employment category which falls somewhere in between the "employee" and the "self-employed", with the main rights being in relation to the National Minimum Wage and working time and holiday pay under the Working Time Regulations. Once again, the so-called "gig economy" working model has been drawn into question, leading some to claim that employment law is failing to keep up with new business models, many of which are technology driven. Uber was criticised by the tribunal for its argument that it is a technology business, not a transport service. This, the tribunal felt, was not consistent with other Uber publicity material, and the requirements of the drivers in practice did not match the contractual terms in which the drivers are treated as independent contractors. The CitySprint tribunal has reportedly described the contract with the courier as "indecipherable" and "contorted", bringing to mind the tribunal comments on the Uber contractual documents as containing “fictions” and “twisted language”, terminology which “merits…a degree of skepticism”. Both cases emphasise that whilst contractual wording will be relevant, the tribunal will look further than the wording at the relationship in practice. In the CitySprint case, the tribunal reportedly described the contract as "window dressing". Although the courier could send a substitute , the requirements for the substitute were so stringent that they effectively meant that the courier could only ask a CitySprint colleague to cover. Whilst both Uber and CitySprint are likely to appeal these first instance decisions, businesses operating these gig economy working models would be wise to review their working models. 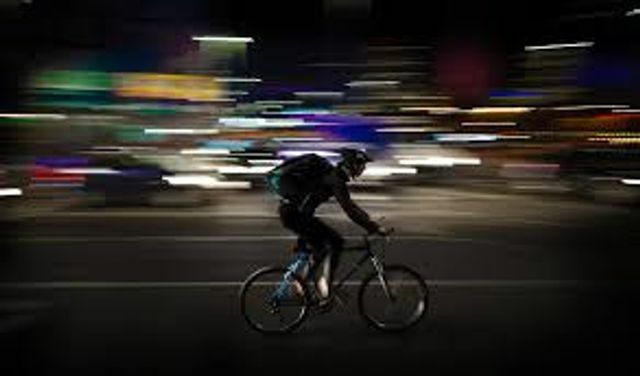 Are individuals genuinely running their own businesses with flexibility and autonomy or are individual workers effectively integrated into the business and, as the CitySprint courier described it, spending "all day being told what to do, when to do it and how to do it." Echoing the tribunal comment in Uber that: “The notion that Uber in London is a mosaic of 30,000 small businesses linked by a common platform is to our minds faintly ridiculous. In each case the ‘business’ consists of a man with a car seeking to make a living by driving it”, the CitySprint courier said: "We're under their control. We're not a mosaic of small businesses and that's why we deserve basic employment rights". CitySprint has emphasised that evidence given during the tribunal has highlighted that it is a good company, paying some of the best rates in the industry. Whether this will be sufficient to deter similar couriers from asserting "worker" rights remains to be seen. City Sprint said: "This case has demonstrated that there is still widespread confusion regarding this area of law, which is why we are calling on the government to provide better support and help for businesses across the UK who could be similarly affected."